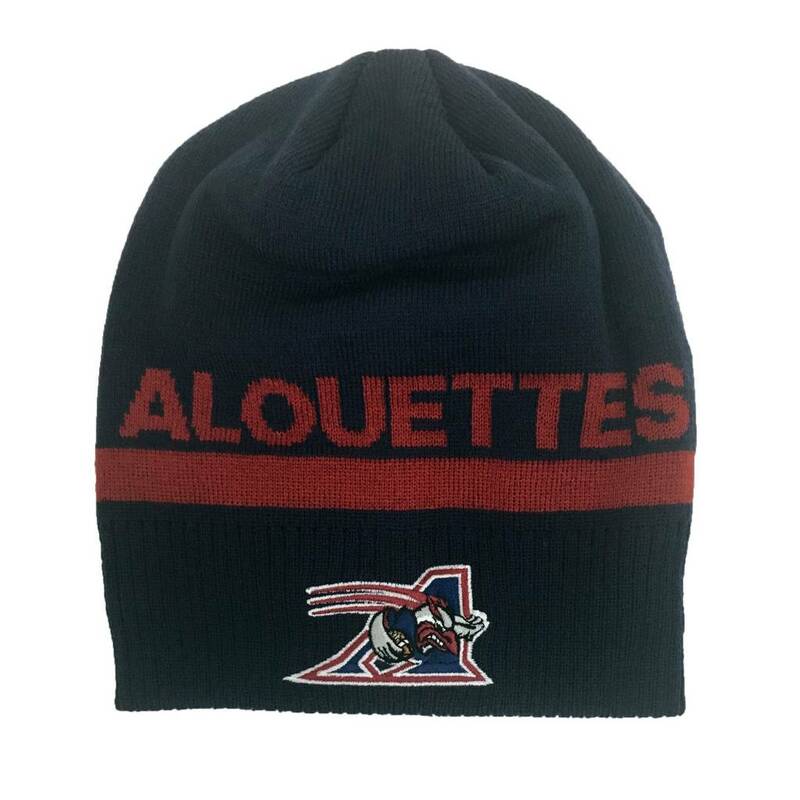 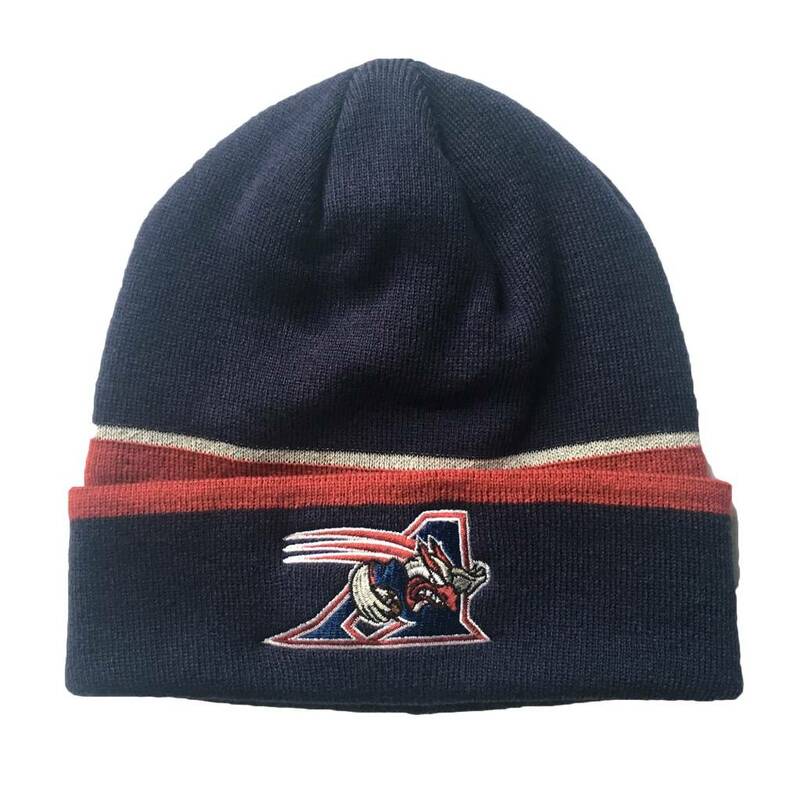 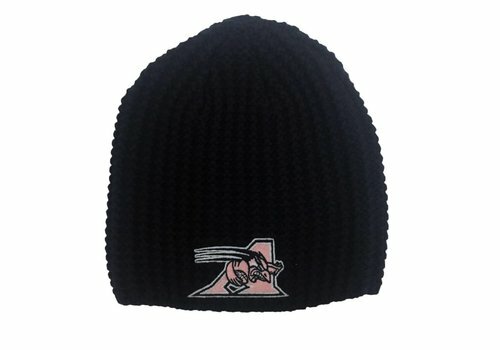 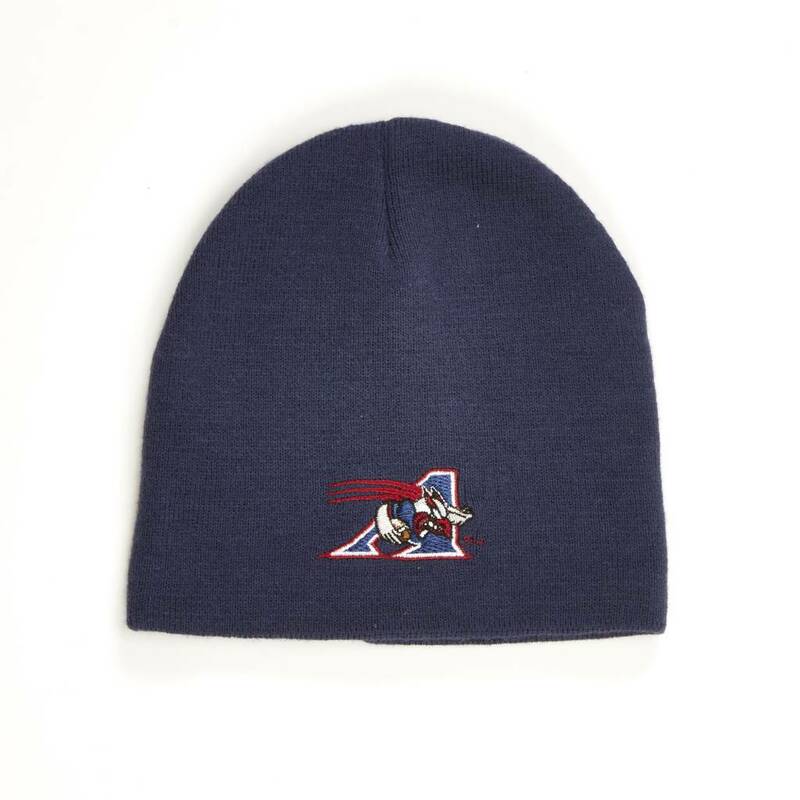 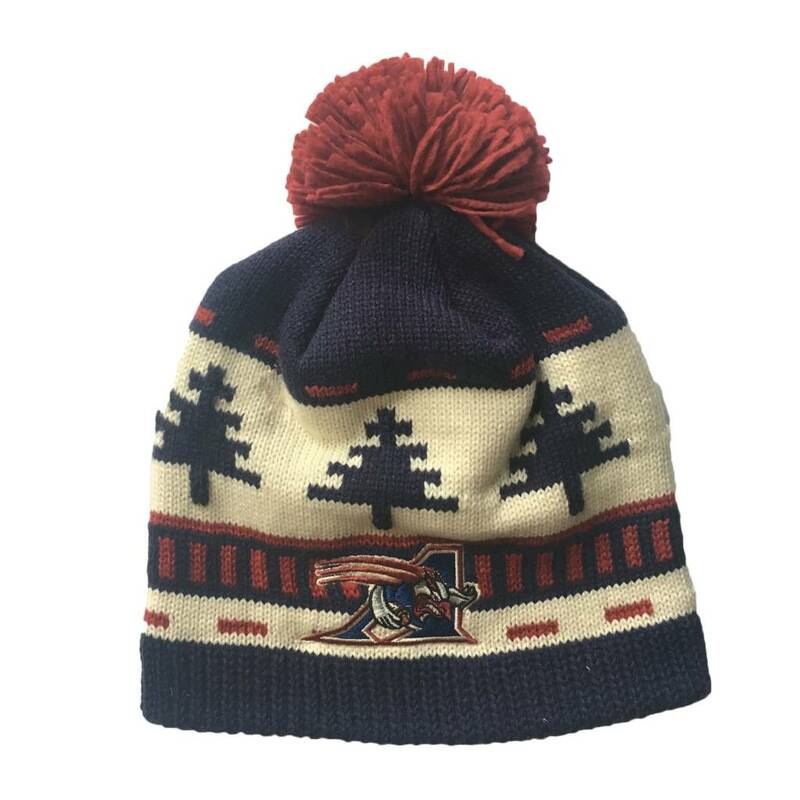 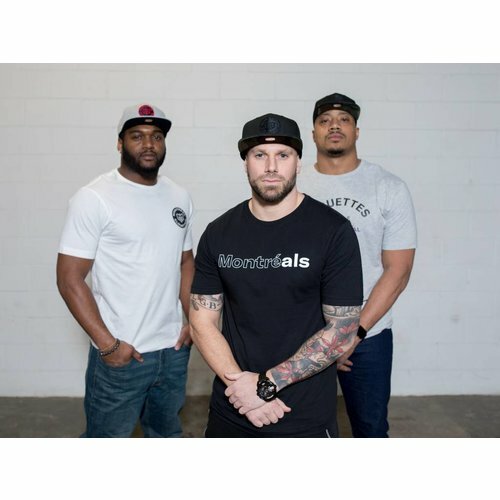 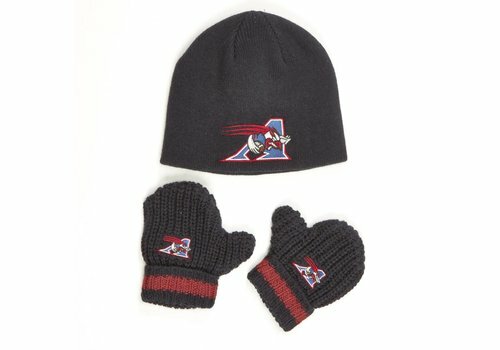 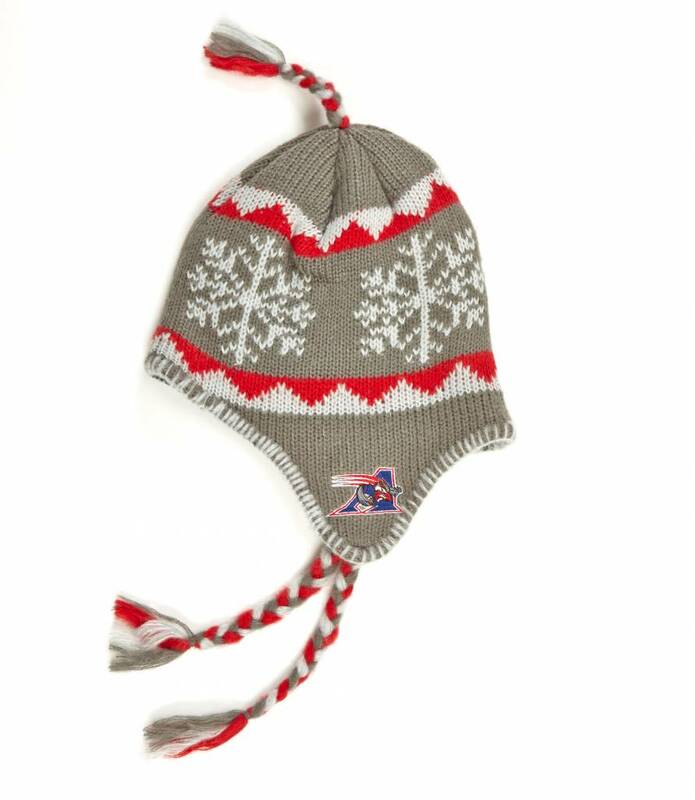 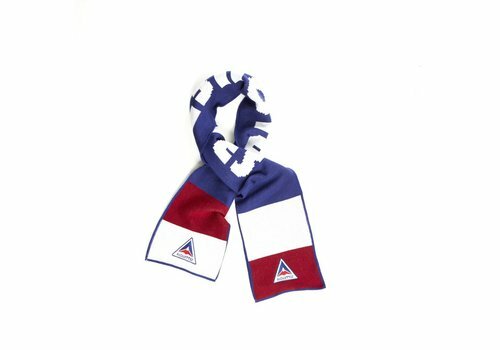 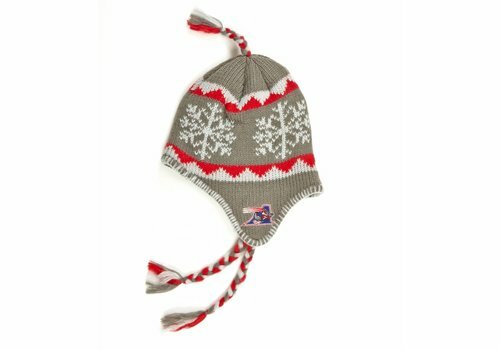 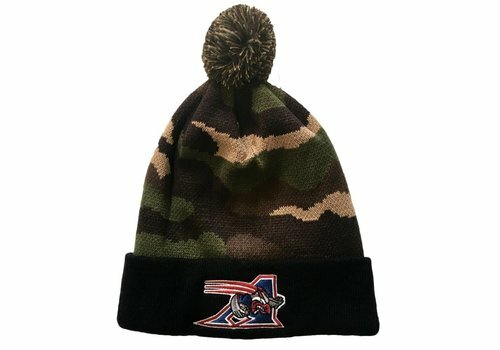 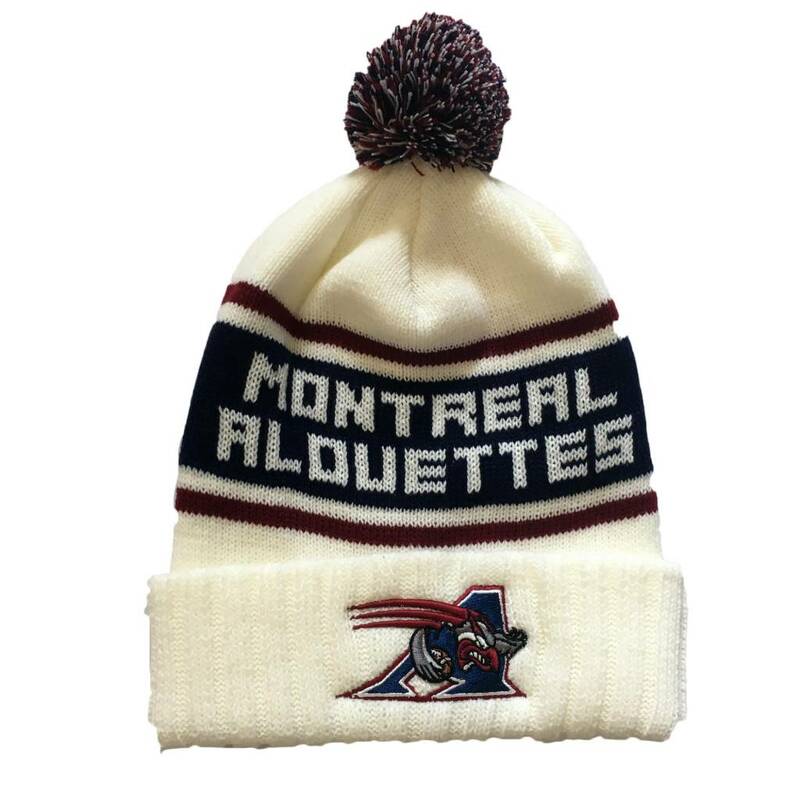 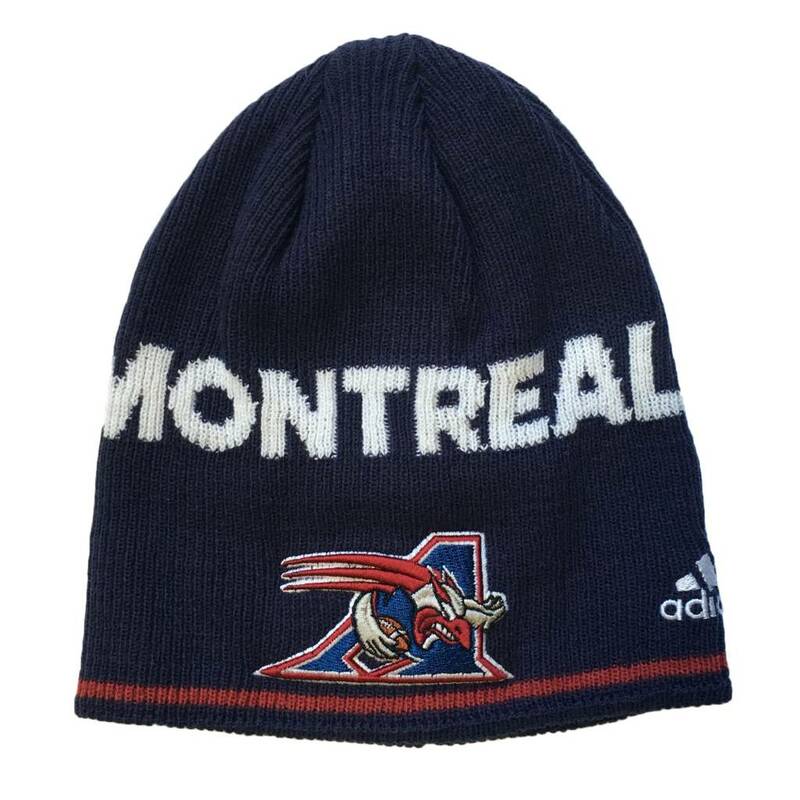 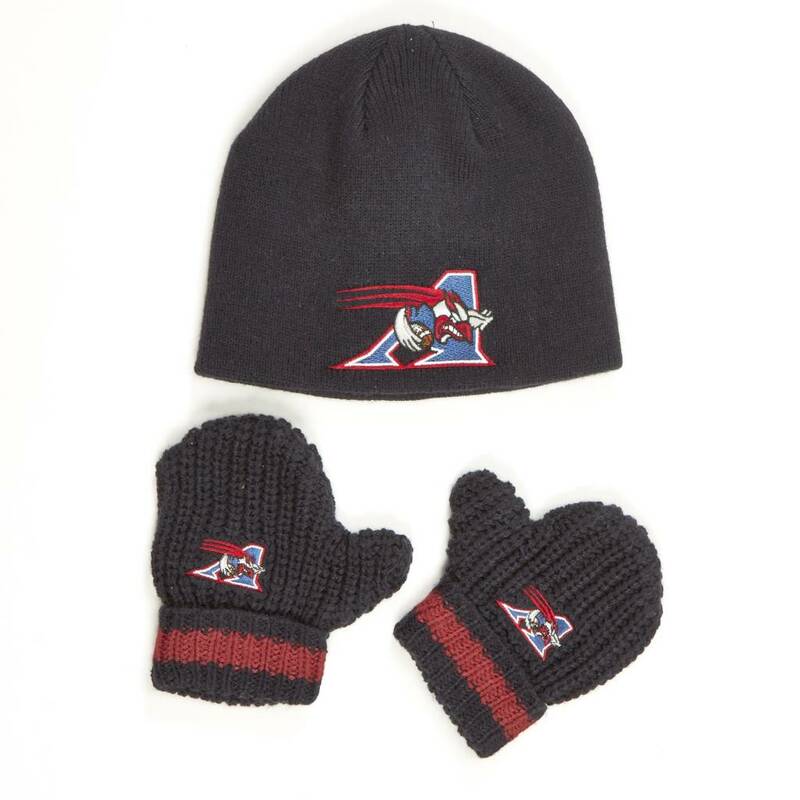 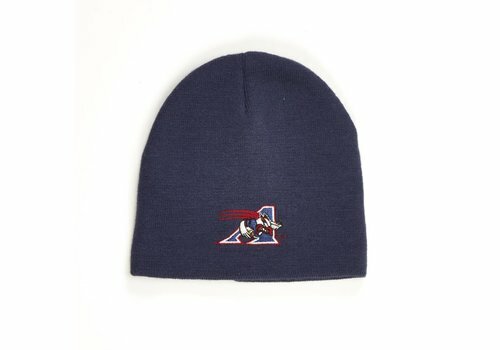 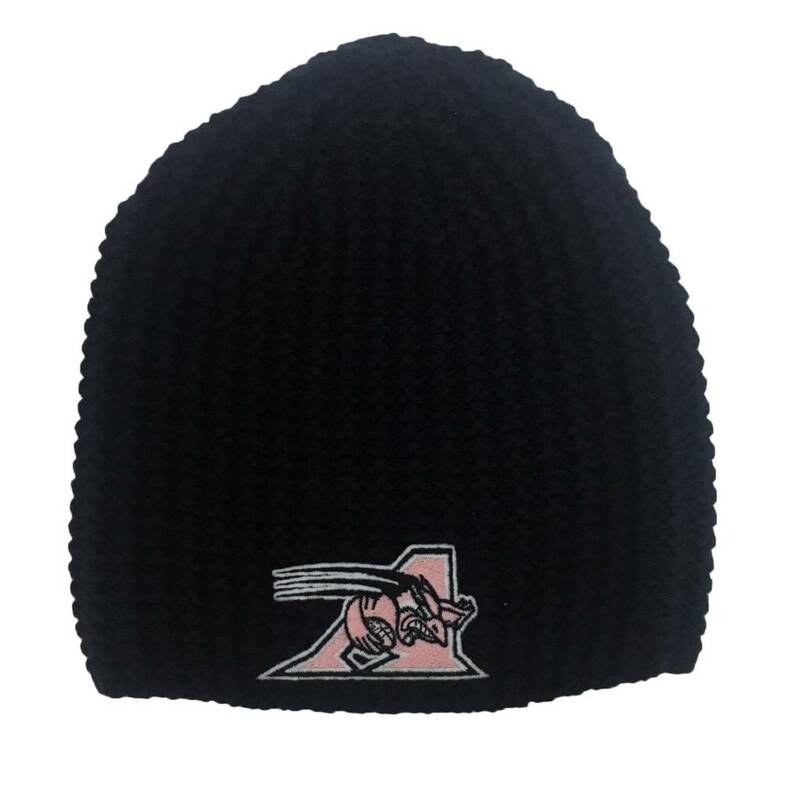 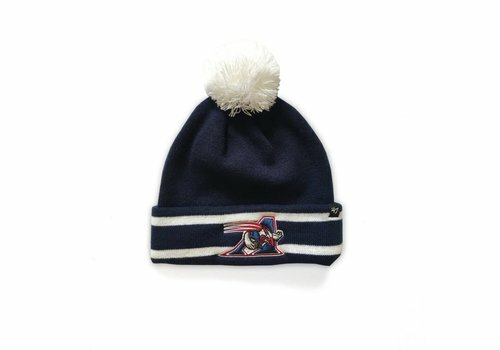 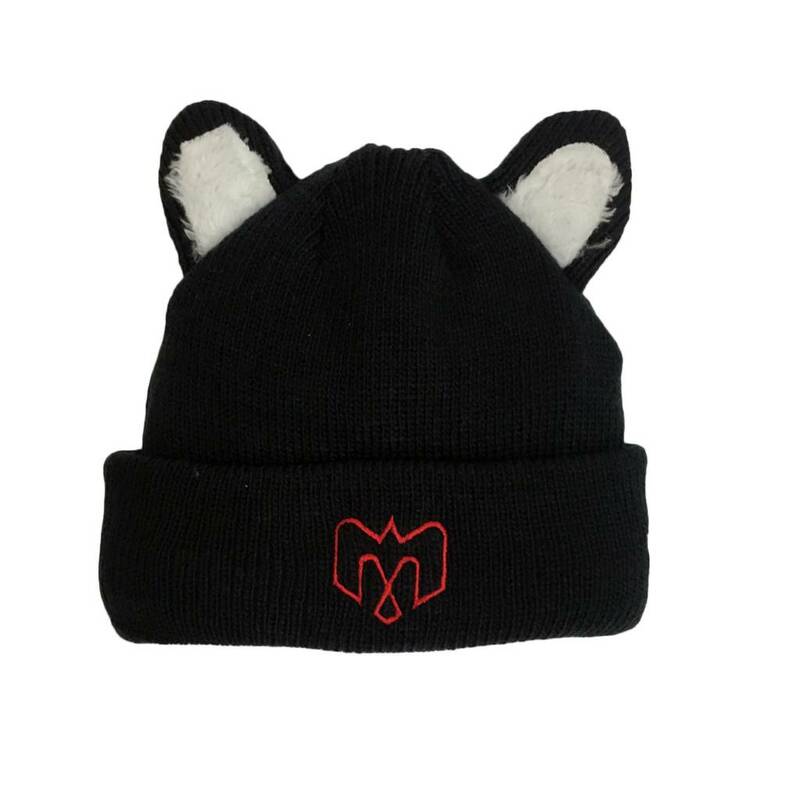 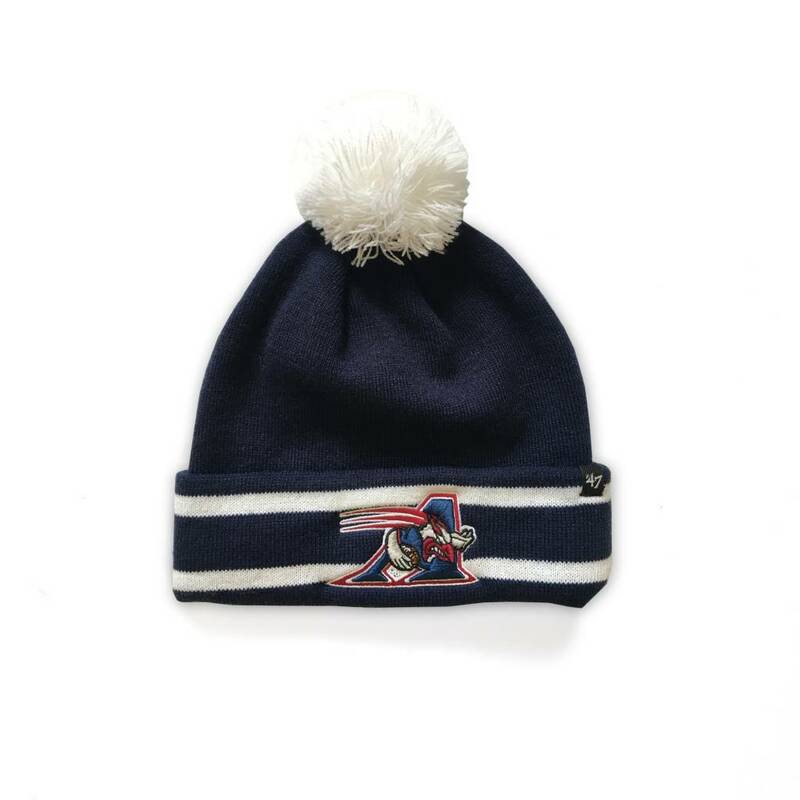 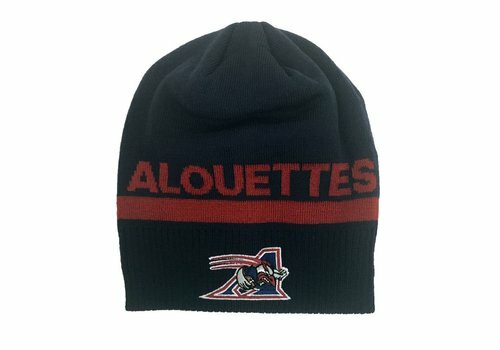 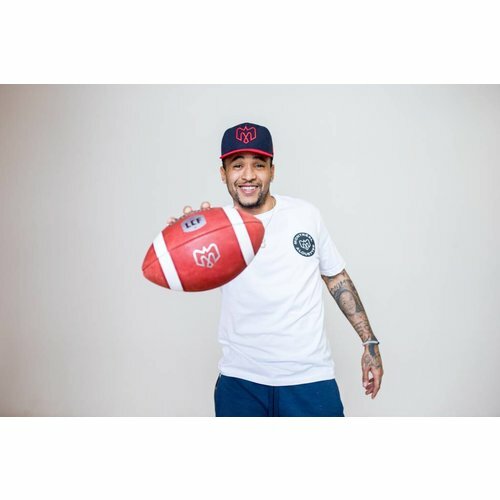 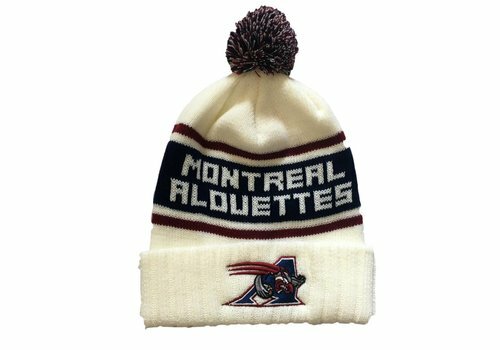 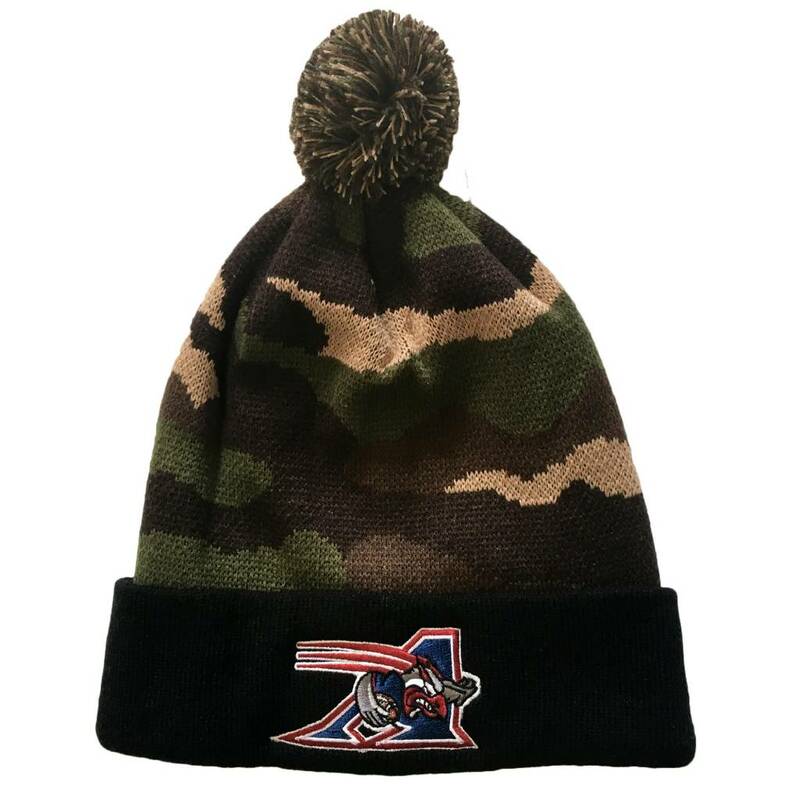 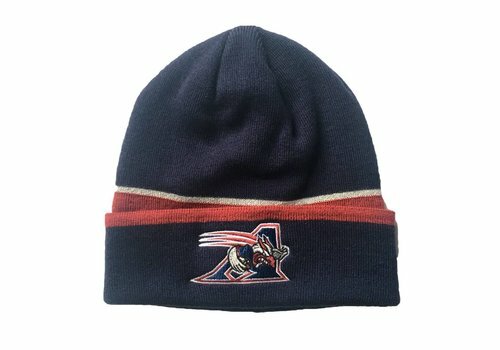 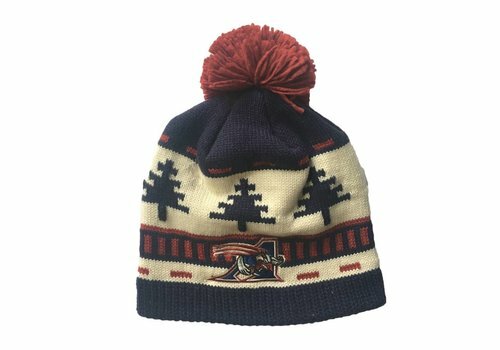 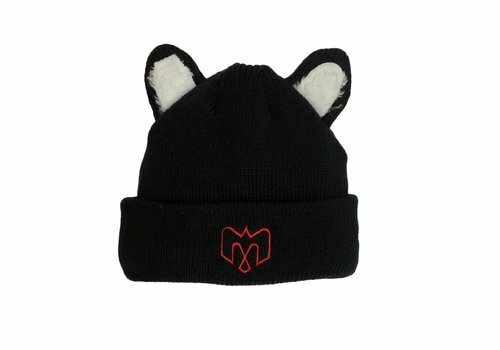 Cuffed knit tuque featuring embroidered Alouettes logo and fluffy ears. 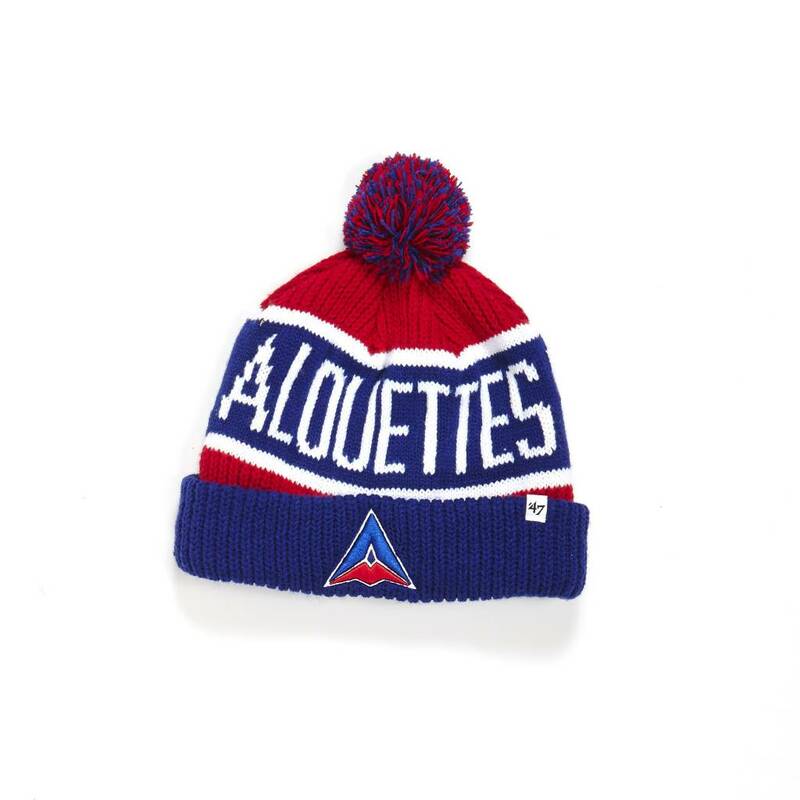 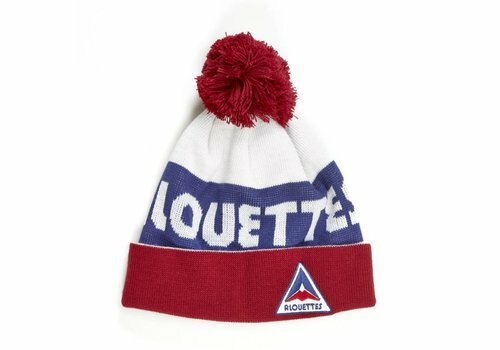 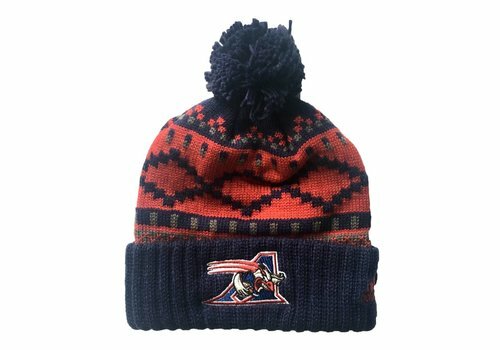 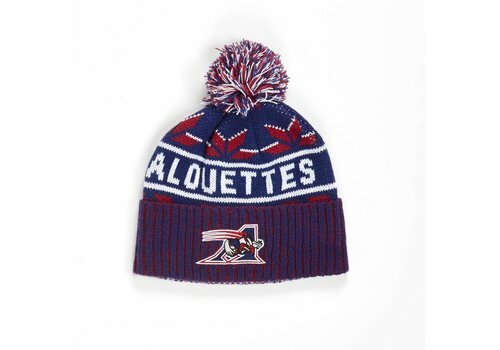 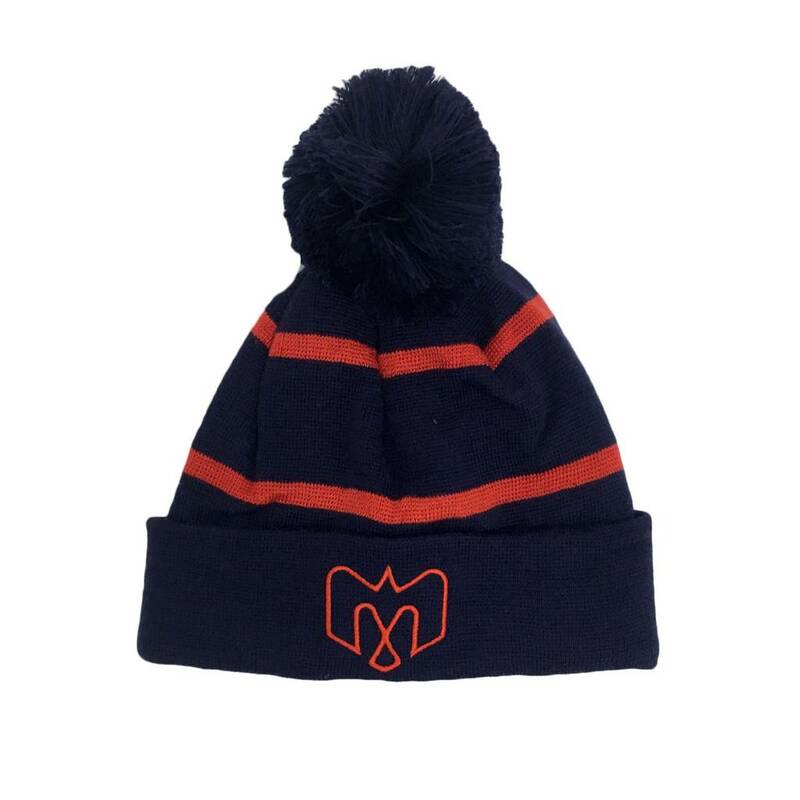 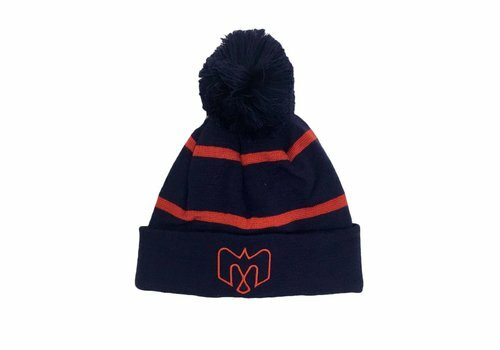 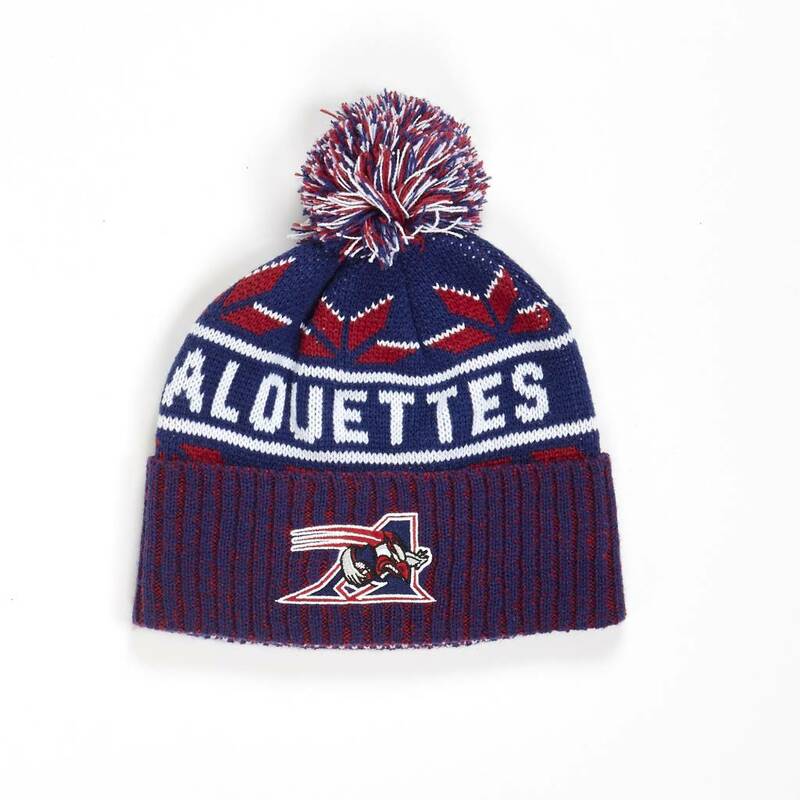 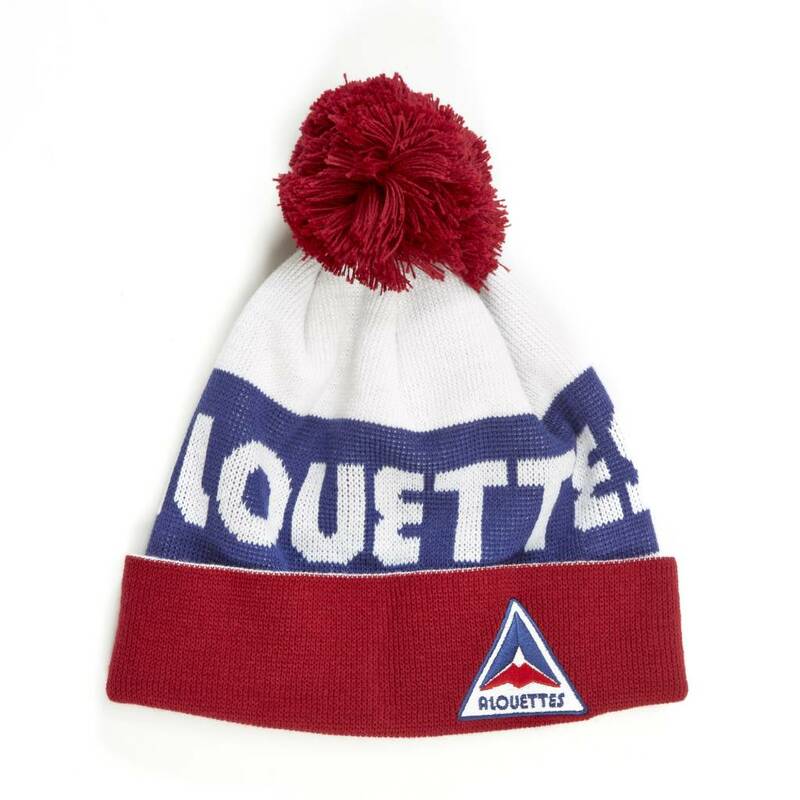 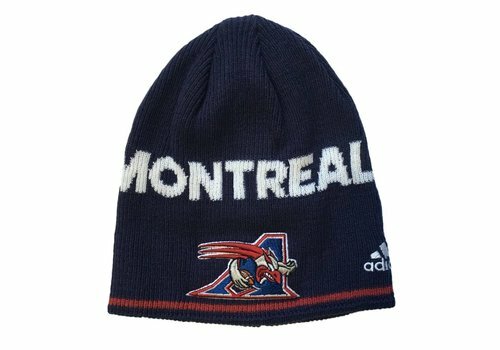 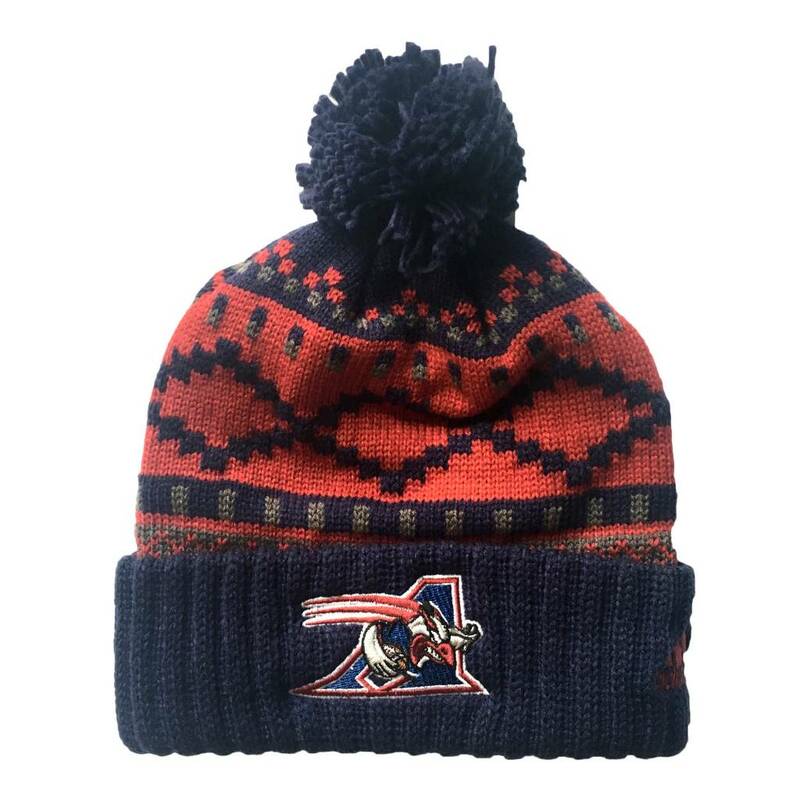 Cuffed knit tuque featuring embroidered Alouettes logo, jacquard pattern on crown and pompom on top. 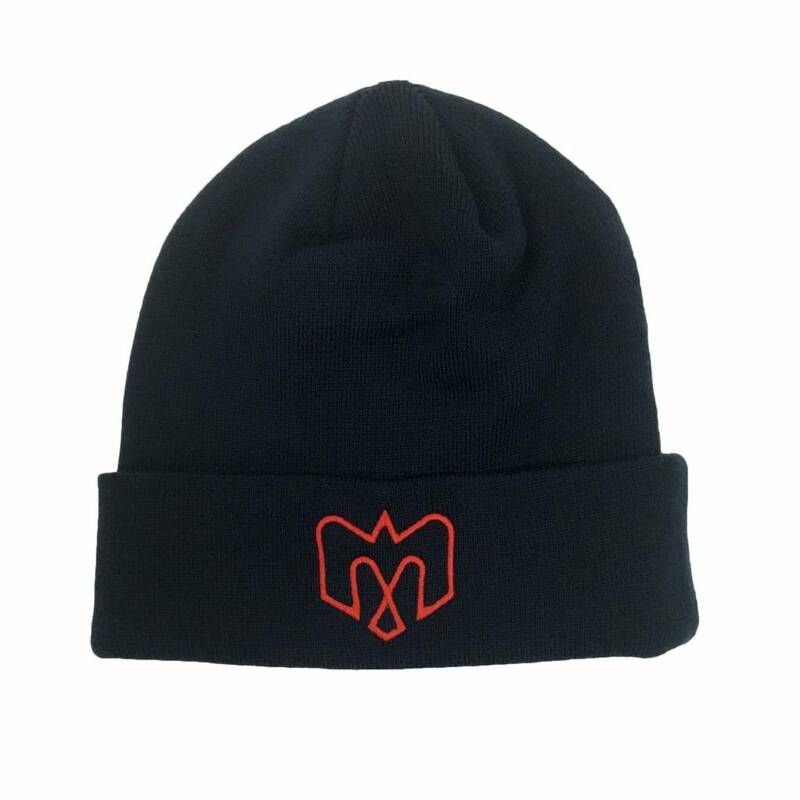 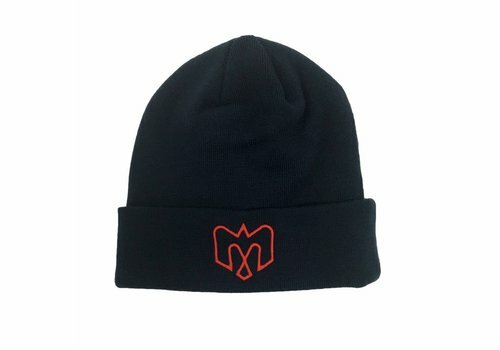 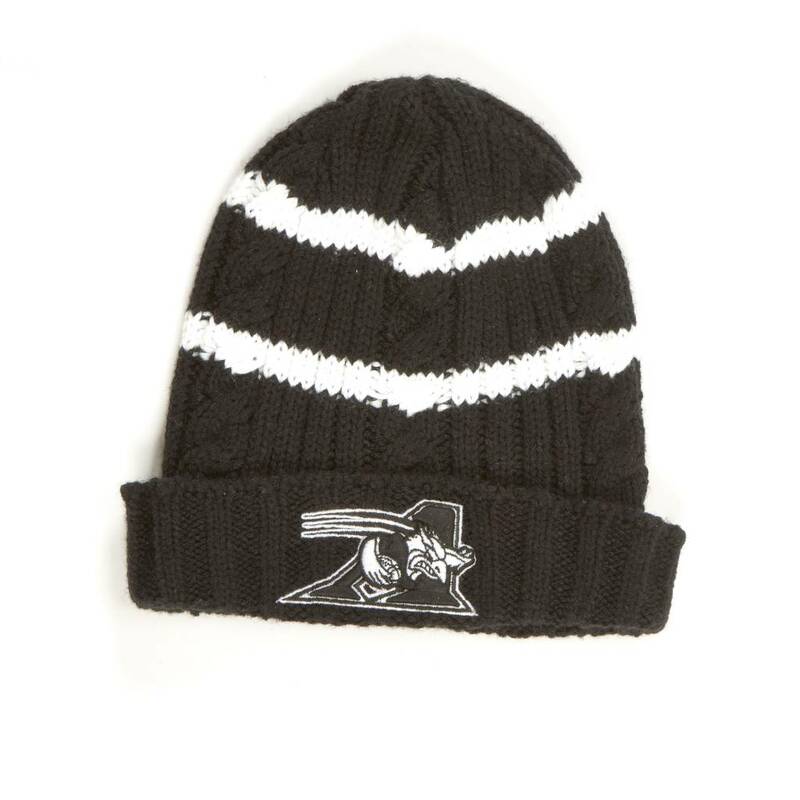 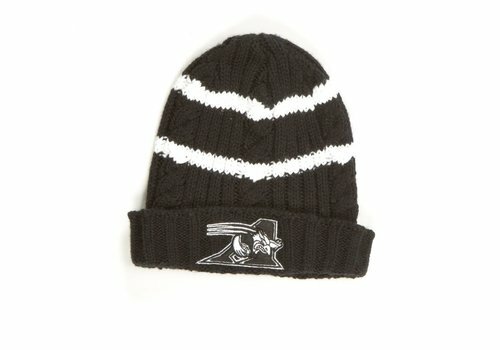 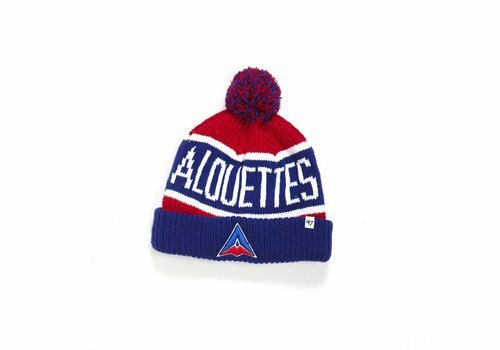 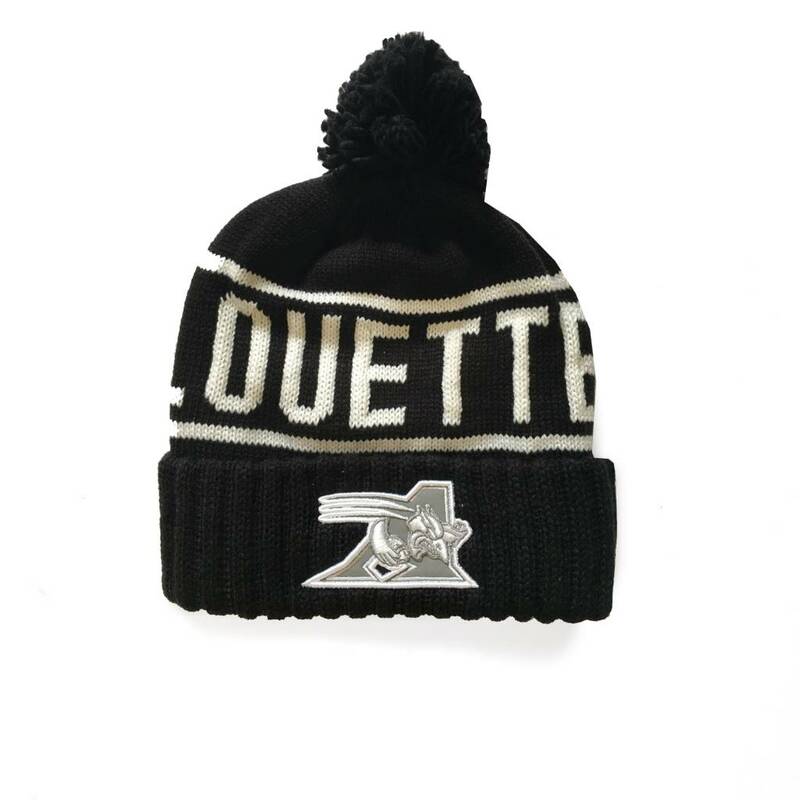 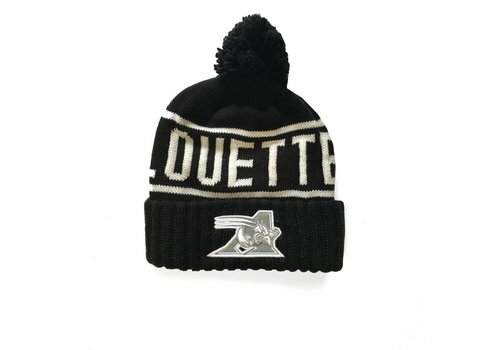 Cuffed knit tuque featuring embroidered Alouettes and Adidas logos.